In the Siege of Detroit, upon provocation Major General Isaac Brock’s British forces captured and held the midwest fort and city, heralding the War of 1812‘s start in July of that year. Detroit holds the unique distinction of being the only American city to fall and be occupied by a foreign military – for over a year until September 1813. So disgraced was Michigan territorial governor and Brigadier General William Hull that he was initially sentenced to death, the only US general to receive such a punishment. Two centuries ago as the territorial capitol of the state, the city was now seen as a strategic liability. 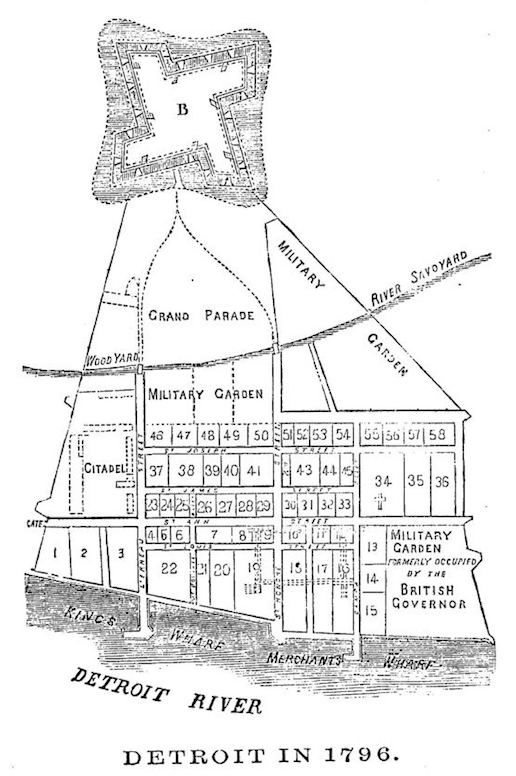 British troops occupied both banks of the Detroit river for decades after the war. In 1847, a decision to move the legislature elsewhere saw Michigan’s capital reassigned to the uninhabited swamps of Lansing Township. Over the next four decades, Detroit transitioned from an agricultural hub to an industrial empire. With this revolution the city’s population exploded from 45,000 to over 115,000 immigrants.